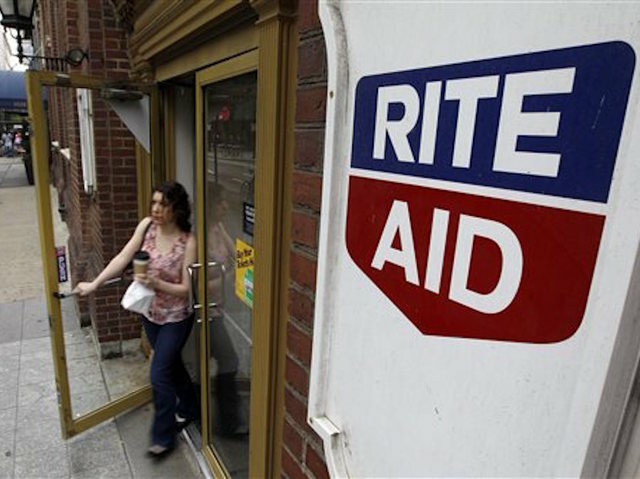 News broke Tuesday that Walgreens has reached an agreement to buy Rite Aid, in a deal that would spawn a new pharmacy juggernaut. The deal won’t close until the second half of 2016, so it’s too early to know what changes Walgreens has planned. The company has already alluded to a “harmonized portfolio of stores and infrastructure,” a line that probably sounds nice to investors and ominous to employees. With a merger on the horizon, it’s worth taking a look at where Walgreens and Rite Aid pharmacies are located in Kitsap, and where stores may be in direct competition. The two chains have a combined 10 stores in Kitsap, as far as I can gather, with another Walgreens under construction on Bainbridge Island. The map embedded below shows the locations, with Rite Aids in blue and Walgreens in red. As you can see, Rite Aid and Walgreens stores are close neighbors in West Bremerton, Port Orchard and Silverdale. The stores on Bainbridge Island will also be intimately situated once the Walgreens there is completed. The green pin on the map represents the CVS pharmacy in Poulsbo, which opened a year ago. Its presence is worth noting because CVS will be the only major standalone pharmacy chain left to compete with Walgreens/Rite Aid once the merger is approved. CVS is a newcomer to Washington State, but nationally the chain commands a 58 percent market share based on revenue, according to USA Today. 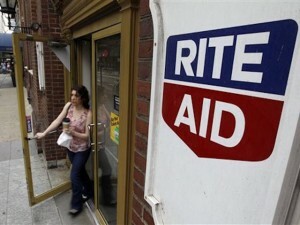 Walgreens has a 31 percent share and Rite Aid trails with 10 percent. CVS recently bought all of Target’s in-store pharmacies and plans to begin operating them. 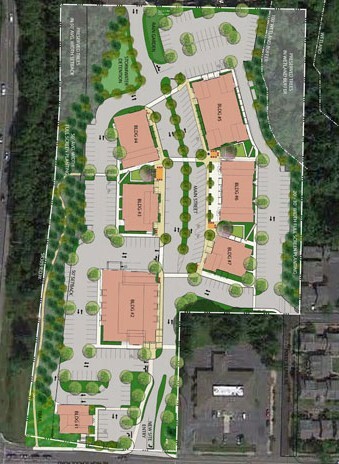 Planners have approved the first major building in the Visconsi shopping center on Bainbridge Island. The city issued a commercial building permit March 30 for a 14,475-square-foot Walgreens building. The drug store will be an anchor tenant for the 8-acre development, located on the northeast corner of High School Road and Highway 305. 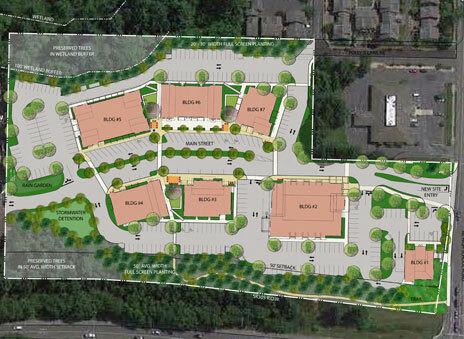 Visconsi also applied for a permit for a 3,228-square-foot Key Bank branch. Key Bank plans to relocate to the development from its existing location on the south side of High School Road. The permit application is under review. Looking at the site plan, the Key Bank building is the small building shown at the southwest corner of the property (nearest the intersection), the drug store is the next building to the north. Those are the only two building permit applications Visconsi has submitted thus far, according to the city’s online permit records. The Ohio-base developer plans to eventually build seven buildings on the site, with space for medical offices, stores and restaurants. The Visconsi project drew heavy criticism from some islanders, who protested the clearing of trees and what they saw as unnecessary urban sprawl. The company posted this letter in response (PDF). An upcoming change in hours at the Walgreens in Silverdale will result in the loss of the only 24-hour pharmacy west of Puget Sound. This is a concern for some urgent care and emergency departments, which often refer patients to the Silverdale Walgreens after hours. Walgreens is making the change because of low demand for late-night pharmaceutical services. But though their numbers may be small, the customers who need those services tend to really need them. Someone arrives at Harrison late in the evening after suffering a broken ankle in a fall. They’re treated and discharged at 10 p.m. with a prescription for pain killers. Typically, the patient’s next stop would be the Silverdale Walgreens to get the meds they’d need to not suffer through the night. That option will be gone March 8. The next closest 24-hour pharmacies, as best as I can tell, are in Lakewood and Ballard (see map) a long haul for someone in pain. Morris said gone are the days when a physician could send a patient home with an extra “pill in their pocket” to tide them over until morning. Harrison is working on a way of providing prescriptions to their patients after hours. They’ll let us know when a plan is in place.